What can you do to create unlimited wealth? Ask and You Will Succeed is a breath of fresh air in a marketplace crowded with advice on what to believe and how to live. Filled with powerful questions that invite you to listen to your inner voice and tap into the strength you need to create your ideal life, this audiobook makes you the final authority in your own life - not outside forces that you can't control. Packed with thought-provoking questions related to the creative laws of success, Ask and You Will Succeed shatters the myth that your success depends on the advice, hard work, or ambition of others. 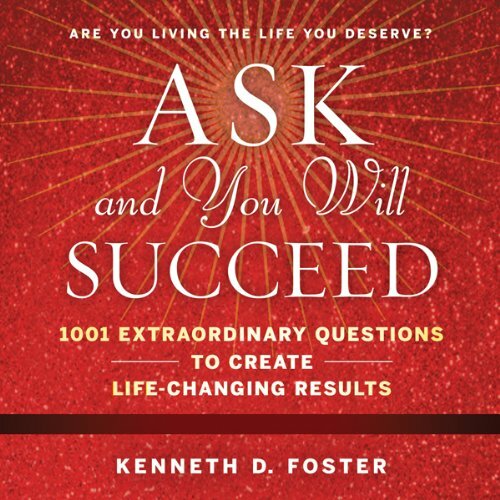 Instead, Kenneth Foster presents life-changing questions that - when answered by you - will help you define and attain success in every area of your life. By utilizing the questions in this audiobook, you'll uncover the true nature of your own mind. If you ask the right questions and do the work, you'll find that prosperous thinking flows into every aspect of your life effortlessly, relieving you of the stressful, negative thoughts that block your creativity and halt your drive for success. Through the process of asking and answering these wise questions, you'll learn to live in harmony with yourself, succeed in business, improve your physical health, build strong relationships, and engender fulfillment, energy, and enthusiasm for life. No matter what you do in life, you'll find a renewed sense of purpose, extraordinary wealth, and an unending love for what you choose to do in life. All you have to do is ask. 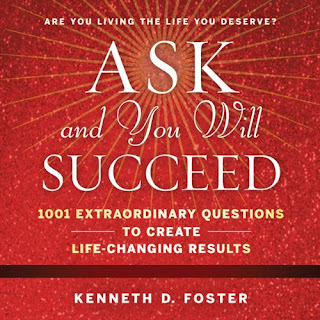 Ask and You Will Succeed is the result of Foster's lifetime of work helping people transfer their attention from failure to success, worry to calm, distraction to concentration, restlessness to peace, and negativity to positivity. When you ask yourself these questions, you'll grow from mastering tasks to mastering yourself - and begin a journey to unlimited wealth and unending success.